There are fourteen states in Malaysia to pick from when planning your ideal itinerary here. If you have the time, you can cover the highlights of all fourteen states and make it home with a good and memorable holiday to put into your new album. Perak is one of these fourteen states that have delightful destinations that you can consider visiting. The district of Taiping is one district in Perak that has a host of tourist attractions that beckon you to come and visit its grounds. Visit the Taiping Lake Garden for a quiet and peaceful evening. The pathways here await you to take a stroll down the pathways that are lined with big branch trees that give you a cool shade. 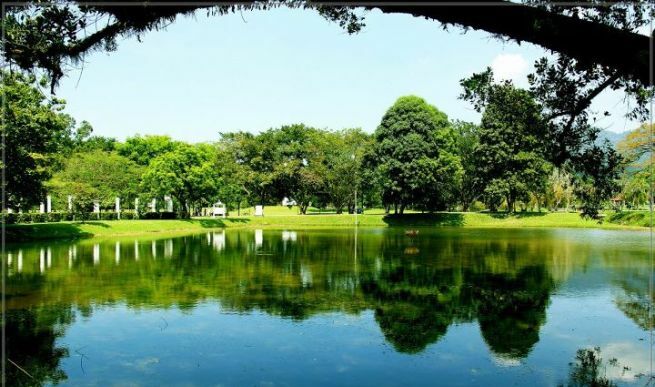 You will definitely enjoy the tranquility of the Taiping Lake Gardens. The trees are large and you can easily sit under anyone of them and have a picnic. There are many wooden benches dotting the pathways and you can sit here and just take in the beautiful lush greenery surrounding you. The park is an amazing place for romantic walks with that special someone. Many newlyweds come here to have their wedding photographs taken because of the beautiful natural background that they can have included in their wedding pictures for a long time. It definitely is a romantic place to be in, especially in the evenings when the sun set. You can sit on the bench by the lake and watch the sun set; definitely a spectacular way to end the day in Perak. Or, you can sit on the benches and read your favorite novel; a perfect way to end a busy day of traveling from one tourist destination to another. The park was once upon a time a large tin mine that was part of the countless other tin mines in the district of Taiping. The tin mine was opened in 188p and was later transformed in to the beautiful park that it is with spectacular features like beautiful flowers, large shady trees, a variety of insects, chirping birds that fly freely above the park and of course the center piece of the park would be the lake that was produced because of the tin mining process. This green paradise is about 60 hectares in total and the atmosphere here is a relaxed one that can be the best place to escape from the traffic of the cities, the stresses and a great place to calm your senses.